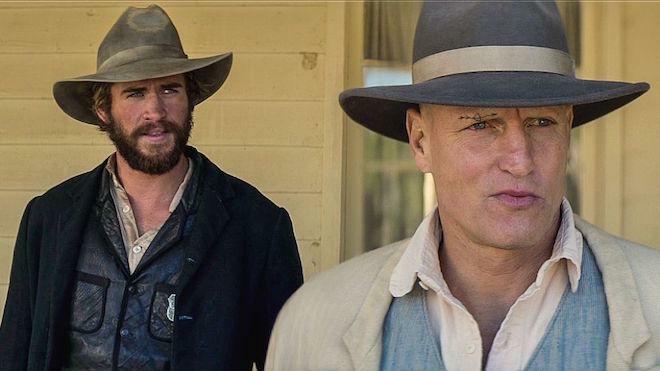 A Texas Ranger (Liam Hemsworth) investigates a series of murders in a small town led by a charismatic preacher (Woody Harrelson). However, the routine undercover investigation soon turns personal for the Ranger who must solve the case before he loses everything to the mysterious town. There are very few genres that I like more than a good, bloody revenge flick. Now if you add gritty western in the mix, you're really hitting my sweet spot. So why was I so bored, waiting for conflict in ‘The Duel’? A revenge western should be right up my alley. Yet time and time again with this film, I found myself puzzled about the lack of tension it built for itself. One thing that I love about Westerns is their old time code of honor. However, there are absolutely no characters that possess those characteristics at all. 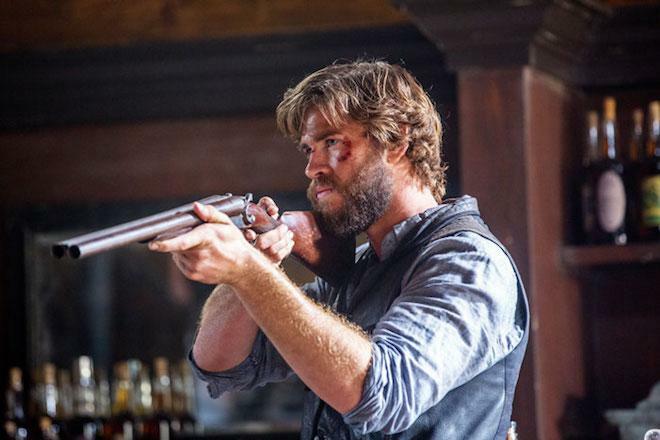 We start off with the ever so bland Liam Hemsworth as Texas Ranger, David Kingston. David takes after his father, who was a Texas Ranger killed in a duel to the death with the ruthless religious extremist, Abraham Brant (Woody Harrelson). All grown up, David is finally given the chance to investigate a series of local disappearances that Brant is suspected of being responsible for. Now, together with his wife Marisol (Alice Braga), David must pretend to be a new part of Brant’s community to investigate the disappearances, and maybe get his revenge? I say maybe because you get absolutely zero anger towards Brant from Hemsworth. He just broods around and pretends to be a Sheriff in Brand’s community. Hemsworth is truly awful here and it is ruinous to this film. This character is bland as hell, and I had no idea what was going on in his head at any point in time, which is extremely frustrating because it takes forever for Hemsworth to actually show that he wants revenge for his father’s death. 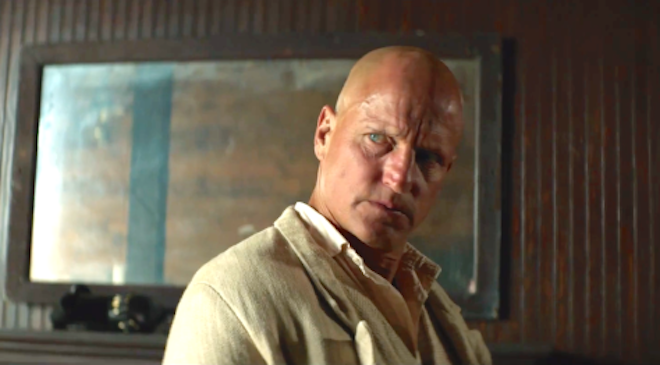 Woody Harrelson’s portrayal of Abraham Brant isn't that much better due to Harrelson’s acting, or lack thereof. I haven't seen a movie where Harrelson isn't just playing himself in quite some time. Unfortunately, he is the typical hick character with a southern twang that he is in 90% of his rolls. His character, Abraham Brant, is a religious extremist that has formed his own community of loyal followers, and for some reason has gone so far as to make them think he is some kind of messiah. Even though details like how he accomplished this or why people are foolish enough to believe him are extremely nebulous, what is clear is the fact that it actually worked, and now everyone in the town is under his lock and key. At one point in time, we literally see a supporting character in the film get put under what seems to be a religious spell by him, and as far as that supporting character is concerned, it worked. If you think that is laying it on too thick, Harrelson is chewing the scenery here like he chews his tobacky. Don't get me wrong, it's better than Liam “beef cake” Hemsworth is doing, but it is way too over the top for a more subdued film. This plot should be simple, yet character motivations continue to be a problem throughout. With Brant acting like an obvious creep and a psychopath, I would think that a Texas Ranger would act quicker to stop him, especially considering the fact that Brant killed his father. But nope, not David, he instead takes his time and settles into the community as their sheriff first. Why? What's there to investigate? He's a crazed madman in a town where disappearances have been happening. Either get your revenge, slap your handcuffs on him and take him in, or move on with your life, so I can do the same. It is maddening how long it takes for David to get to the point where he is out to kill Brant. By the time it finally came it was too little, too late and I was already done with this film. To me, this movie screams that they didn't know where to go with this movie. They want to have a big, brooding revenge western, but they also want to prolong their conflict until the final scene of the film. They want to make this a plot where the scruffy protagonist infiltrates the villain’s organization, a la ‘Gangs of New York.’ But throughout that superior film you understood the whole time why DiCaprio waited so long to make his move, and throughout that film you know exactly what his end game is. Unfortunately, at the beginning of this film you never get a sense of the type of revenge that David wants, or if he actually wants revenge at all. From its vague plotting, to its bad casting of a veteran actor who has seemingly lost his way, to an actor who has clearly not found his way yet, ‘The Duel’ is a sure misfire. 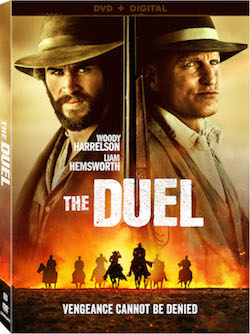 Lionsgate brings ‘The Duel’ to Blu-ray with the usual soft cover that slips off to reveal a hard cover case. Once opened, the Blu-Ray is to the right, and an Ultraviolet code to the left. Once you pop in your Blu-ray Disc, there are a series of skippable theatrical trailers, which then lead to a kind of lazy still image main menu that you can then select the movie from. ‘The Duel’ is out for blood on Blu-ray with this 1080P MPEG-4 AVC encode that is almost a complete bullseye. Cinematographer Jules O’ Loughlin (‘Krampus’, The Starz original series ‘Black Sails’) has done an absolutely fabulous job creating a naturalistic looking film that is beautiful to look at whenever exteriors are on screen. I have to admit, I didn't have high hopes regarding the cinematography going into this film; little did I know, that would be the strongest thing this film had going for it. I was pleasantly surprised how sharp this transfer looks, but more important is the nationalistic color palette that is so gorgeous. Framed at a 2.39:1 aspect ratio, this transfer displays its naturalistic color tone perfectly with everything from the high grassy fields to the desert landscape where the final climax takes place, and is as razor sharp as any reference quality transfer out there today. There is one blemish on this transfer’s record that I did feel I had to ding it a bit for. Those pesky black levels tend to rear their ugly heads in some indoor night scenes. The same impulse to go with a more naturalistic color palette tends to make a handful of scenes with Hemsworth sitting at his dinner table at night look so dim as to lose some of that beautiful detail that is otherwise gorgeous throughout this transfer. But that doesn't stop this transfer from being highly recommendable…. if only the film wasn't such a snooze fest. Lionsgate sets its sights on Blu-ray with ‘The Duel’ and aims to kill, with a DTS-HD MA 5.1 track that is a true crowd pleaser. I absolutely love audio tracks like this that catch me off guard, and pack a punch like this track does. From the calming, atmospheric sounds accompanying the beautiful landscapes in this film, to when action finally does kick into gear toward the end of the film, fronts and surrounds work together in harmony to create an immersive experience. Particularly in action sequences, the surrounds come to life with natural, but extremely effective gunshots that whiz by your ears and fade behind you, expanding well behind the usual field of sound. The LFE track holds its own here with aggressive bass levels whenever a gun is fired, and also compliments the score for the more subdued portions of the film. Voice levels and overall volume are extremely generous here, having crisp and clear audio at what I would consider an above the norm level. If you couldn't tell by now, this film had a great production and post production team that elevates this material, and this audio transfer is no different. 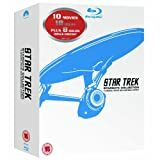 Audio Commentary with Director Kieran Darcy-Smith and Production Designer Toby Corbett – Unfortunately, this was a disappointing commentary to listen to for me. The best part of ‘The Duel’ is its cinematography, yet this commentary offers very little insight into the cinematography, due to the fact that cinematographer, Jules O’ Loughlin is nowhere to be found. They go into scouting locations, and why they made the choice to take such a religious angle with Harrelson’s character, but all that just felt like filler as I waited for them to talk about the good stuff. However, I quickly realized it was never going to come. I do not agree with how this story is told. It slogs along, and gets to its villain way too soon. Instead of following a template akin to ‘Gangs of New York’, they should have built up to Abraham Brant’s over the top character in a way that is more akin to ‘Apocalypse Now’. What if, instead, they had David on a quest to find Abraham, and we end with David finding him? 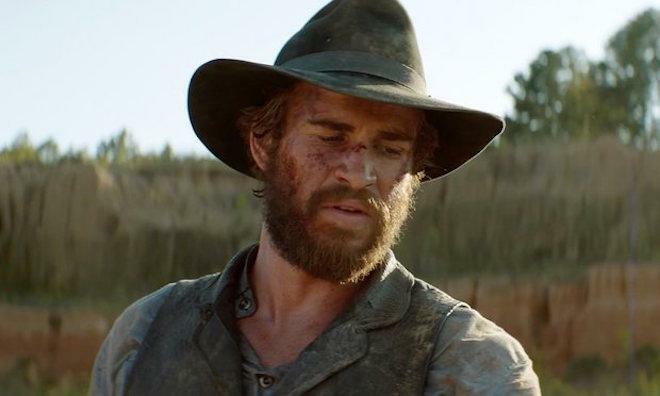 Granted, you would still have yet another bad Liam Hemsworth performance, but this would feel like more of a journey, and since you would only see Harrelson’s over the top performance at the climax, it would seem less overbearing and more special. This is a gorgeous transfer with an impactful audio track that is worth seeing alone. Unfortunately, the beautiful visuals are paired with a snoozer of a revenge plot that goes on many tangents just to get to a bland climax.